K12 Learning is a publicly held company that sells its curriculum to public schools and individual families with lesson plans for the grades of Kindergarten through the 12 grade. The course work is mostly online, but there are also paper and book materials that the students must use. The company was founded in 1999 with a mission statement of becoming the leader in one-on-one learning solutions for students from kindergarten through their high school years. The results have been fantastic as they have been able to help students from all walks of life, and have changed the lives of many children and families. The company offers a highly effective and outstanding curriculum that emphasizes the mastery the core skills and concepts for all kinds of minds that differ in accordance to environments, upbringing and skill levels. This means that the program is meant to connect with all kinds of kids, whether they are “slow”, “fast” or “medium” in learning ability. The secret is that each child has his or her own individualized learning agenda that they follow. The program is set up so that diverse conditions that children grow up in are neutralized so that the coursework stands out. This is accomplished through several learning approaches that are highly individualized in their approach to learning in general, and fine tuned to the specifics that apply to that child. In speaking about kindergarten, the K12 learning concept starts there and captures the essence of what makes kindergarten and exciting time for the child and an exciting time for learning. Kindergarten, which was started in Germany, and literally means “Children’s Garden” has been pretty well adapted by the world, and has grown from just a blocks and “dress-up” time to a more academic starter plan. In Germany, kindergarten is not a required curriculum, but about 80 percent of the children are enrolled in private instruction from a local church or home group. The same is pretty much true for the rest of the world too, where once children were struggling to learn how to read in the first grade, they are now learning in Kindergarten and if they get to first grade and are having difficulty, they are considered to be behind. If you travel around the world, it would be difficult to find a country which doesn’t have some kind of home to school program designed to acclimate the child from the environment at home to a more structured learning environment. It has been pretty well decided world wide that getting a good scholastic start in life is a great foundation for the rest of a student’s education. Of course Germany stands out as a well-run concept, even though it is an informally run program. The emphasis is still placed in the category of learning to learn properly and looking at learning as a necessary preoccupation. Kindergarten attendance is usually a full day affair, so it can be presumed that children are ready to attend regular school when the time comes. Kindergarten in Hong Kong stresses half day sessions for young children at the age of 5 where children are provided with stress free learning conditions where basic learning takes place. The prime effort is to condition the children for school that starts the next year. In India, children enter a “pre-primary” school where they will spend 3 to 4 years starting at age 3, which will prepare them for the normal primary education when they are ready. In Japan, education starts at home where children are taught manners and social graces. 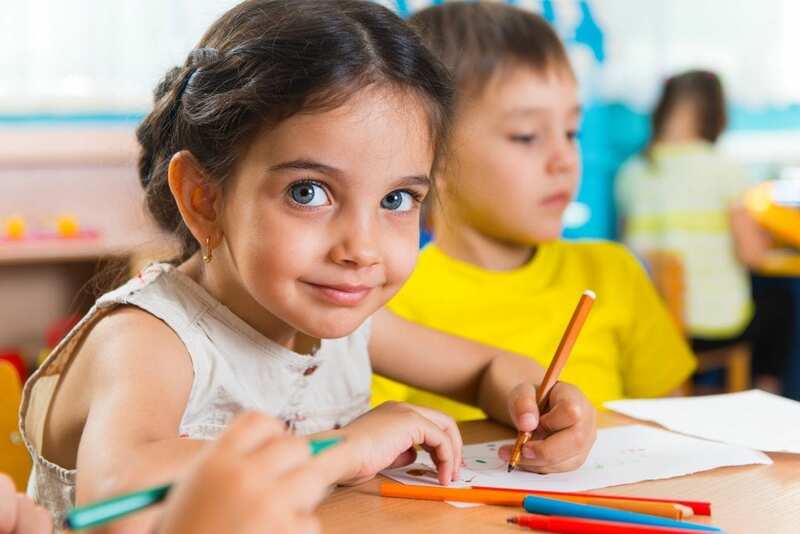 Kindergartens are privately run and stress basic learning activities such as learning to count, read basic words and be prepared for more formal school later on. In Russia the children from 3 to 6 years old enter a preschool educational institution designed to prepare the children for a more formal education in the primary schools. K12 Learning has their Embark12 Kindergarten readiness program where the objective is to give the child the best possible start in life itself. This program is put together in order to prepare the child for Kindergarten. If provides a strong academic foundation that will prove helpful in future years with hands on activities and games, stressing interaction between the parents and the child. There are kindergarten courses in language, history, art, math, music and other subjects. The coursework is of course very basic, but the best place to start is at the beginning. For example the language arts course is called Noodleverse and is a supplemental online writing and reading skills course which allows independent learning. This course provides many hours of fun for the new learners and the wide variety of activities keeps their interest level high as they gain skills in phonics, reading, writing, and grammar. The K12 programs from kindergarten through 12 grade has has such great success that the company has received many awards such as the 2014 “Parents’ Choice Award”, the 2014 “Mom’s Choice Award”, the “Association of Educational Publishers Award” in 2013, and many others.